At Falcon Dental Care we are committed to helping you achieve a smile that makes you look and feel your best. You are a member of our family, not just a patient. You can expect to be treated in a warm, friendly manner. Our professional insurance specialists go the extra mile to make sure your insurance estimates are as accurate as possible. We believe in up front communication, never any surprises. We strive to stay current with ever changing technology and like to brag about the new equipment in our office which improves quality of service and extra comfort to you. We believe in building long-term relationships by providing quality care that is affordable. 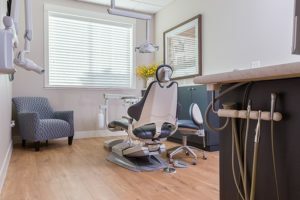 We strive to promote a happy, stress free environment that makes coming to the dentist enjoyable. I consider myself lucky to be able to say that without a doubt, I love what I do. Being a dentist isn’t just about treating teeth and gums. Every day I have the privilege of meeting new people and helping them get healthy and stay healthy. om a variety unique backgrounds. Following my navy days, I went back to school, earning my bachelor’s degree in Health Sciences and doctorate in Dental Surgery from the University of Colorado. 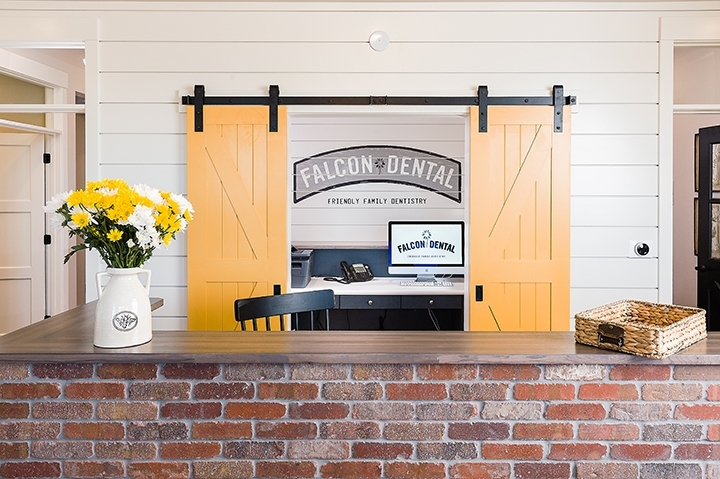 I opened Castle Valley Dental in August of 2001, closely followed by opening Falcon Dental Care in 2004. 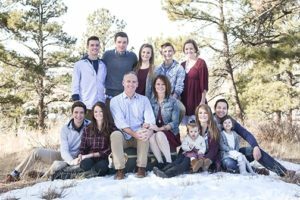 My large family is a constant source of inspiration as we face life’s triumphs and challenges together. My wife Stacie and I were married in 1990. I consider myself to be a person who is always willing to try new things. I love to travel, camp, cycle, boat and try anything that involves my friends and family being together. I love spending time with people, but also enjoy time to myself reading and listening to great music. I strive every day to help people live better by learning what it takes to have healthy teeth. We achieve this by understanding what is important to our patients and improving the way that they feel about themselves. There is no better feeling than seeing a patient feel confident about their smile. I was born in Japan while my father was serving in the Air Force and have had the opportunity to live all over the world growing up. I have strong family roots here in Colorado with relatives dating back to the mid 1800′s. I attended BYU for undergraduate and University of Colorado School of Dentistry for my dental education. After attending dental school I went directly into the Air Force and underwent officer training for a month in Montgomery AL. I served for 4 years in Mountain Home, ID doing general dentistry. I was fortunate to be accepted into a Prosthetic mini-residency and studied for six weeks at Lackland AFB in San Antonio TX. Following my four years of military service, I worked doing dentistry in a corporate environment. 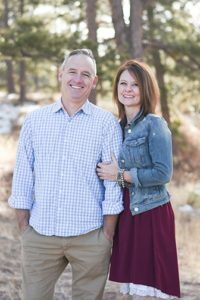 After ten years of working with the company I finally gave in to my brother (who had talked to me for years about working with him) and joined him in Castle Rock at Castle Valley Dental, and quickly lending my ortho skills to the Falcon Dental Care practice. In my personal life I am blessed with a wonderful wife and four amazing children. My family is growing and I am excited to add a new member each year with marriages and grandchildren. A few summers ago I had the opportunity to take some young boy scouts on a climbing trip to do a fourteener and was inspired by the all-out effort it took for several of the boys to complete this challenge. In life there are easy things and hard things but every now and then there is something that we do that requires us to dig deeper. Have you ever done anything that seemed impossible and mid-way through you wanted to give up and quit? A task, challenge or job that pushed you to your absolute limit and beyond? I was inspired by the gargantuan effort these boys put into climbing this huge mountain. At the start they were very much full of excitement, energy, wonder and awe. That soon faded as the trail became steeper and unrelenting. I was amazed at the deep inner personal struggle that a 12 year old goes through. Should I quit, rest longer or push just another 10 steps? I don’t think I can go one more step they would say over and over again. Rest a little longer and give me 10 more steps. Again and again, over and over the struggle went on. Eventually we reached the peak! But wait now we have to hike all the way down? I know that all of us have limits. However, it’s amazing watching ourselves and others push beyond those limits and accomplish things that seemed impossible. As a Colorado native, there is no greater pleasure than being able to help people in my hometown by doing what I love. Ever since I was 15 years old, I knew I wanted to be a dentist. The health professions have always intrigued me, and dentistry seemed like the perfect fit for a perfectionist like me. I spent five years at Colorado State University in Ft Collins, completing my Bachelor’s in chemistry and Master’s in biomedical sciences. I went on to pursue my career in dentistry at the University of Colorado School of Dental Medicine on the Anschutz Medical Campus where I received my Doctorate of Dental Surgery. While in school, I participated in a number of outreach programs that included a trip to Guatemala and volunteering at a student run health clinic that was free to the public. I am blessed everyday to have a loving family, friends, and boyfriend who constantly encourage and support me. If it weren’t for these people (and dogs) in my life, I would not be where I am today. They help keep me in the “work hard, play hard” mind set. When I am not at work, I am doing exciting outdoor activities with my two dogs. I love to ski, snowshoe, hike, camp, ATV, and boat. I also have a passion for baking and cooking. You can typically find a tray of my latest creations in the break room for the whole team to try. My favorite aspect of dentistry is being able to meet new people every day and help them better themselves. Despite my dedication to fix and prevent cavities, I love to have fun in the office and try to make each patient experience more enjoyable. I am so happy to have joined the team here at Falcon Dental Care and cannot wait to see where we will go together!